This past fall, the Institute released a Collaboration Handbook in support of the National Park Service’s Urban Agenda. 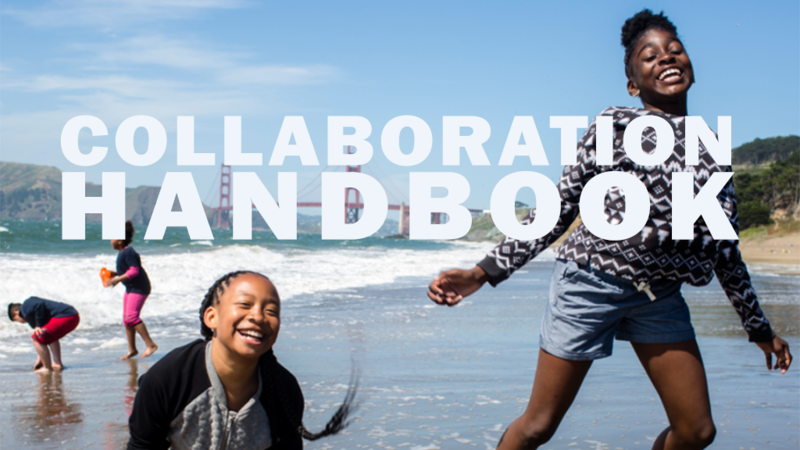 The Collaboration Handbook features tools for park professionals to jumpstart collaborative initiatives within their communities. This how-to guide offers practical information on the collaborative process and recommends outlooks and attitudes that support it. Below are a few helpful attitudes that park professionals should take when developing a more collaborative Park Service. Collaboration requires an entrepreneurial or hustler spirit. Park professionals should be resourceful, flexible, and creative. Collaborative efforts require that you leverage resources, rally community members, and seek creative ways to overcome longstanding obstacles. Park professionals should be able to experiment, take calculated risks, and possibly even make mistakes. Collaboration requires resiliency. Park professionals should be able to recover when the inevitable set-back happens. They should have the determination to navigate complex regulations, have courageous conversations to repair relationships, and build collaborative efforts brick by brick. Park professionals should be able to stay for the long haul. Collaboration requires time. The impact and strength of a collaborative effort is linked to the amount of time invested within it. Park professionals should be patient and plan for the long term. This is not to discourage smaller projects, with faster results – these collaborative efforts are valuable, too – but even small projects do better with dedicated staff time. The above attitudes and assumptions are helpful to have before beginning any new collaborative effort. The lessons and tools found within the Collaboration Handbook will only be enhanced by having the right mindset. Click here to read the Collaboration Handbook. And with that, you might be ready. You might be ready for deeper collaborative work. You might be ready to start. Your community might be waiting.